Frontiers in Dermatology and Cosmetology (FDC) offers the dermatologists and cosmetologists a broad range of information from practical problem solving to a deeper mechanistic understanding of skin diseases, while at the same time providing space for further hypotheses that may help to find new solutions to old problems and to promote productive academic communication with peer review process. This serves the dual role of providing information and improving the research. 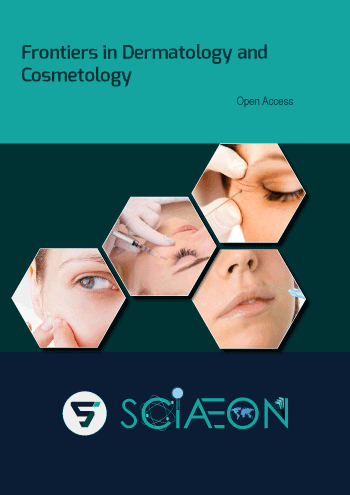 The journal publishes contributions from across the globe on a wide range of skin-related topics including epidemiology, skin biology, clinical dermatology, and therapy to cosmetic advancement and development in technologies. It covers all the topics in clinical medicine, contact dermatitis, dermatopathology, mycology, pigmentation, surgery, psoriasis, japan dermatology, laser treatment, Rhytidectomy, plastic surgery, Genetics of skin disorders, nanoencapsulation in cosmetics, botox and Platelet-Rich Plasma (PRP) filling and other disorders in skin, hair and nails.